While Saudi Arabia has long meddled in Yemen and focused on combatting al Qaeda in the Arabian Peninsula, Riyadh lost sight of developments in Yemen while focusing on other regional fights. Saudi Arabia has been trying to stem chaos in the region in the aftermath of the Arab Spring, especially threats from transnational jihadist groups such as the Islamic State. It has also been occupied with supporting Bahrain's pro-Saudi Sunni monarchy as it faces a democratic uprising from its Shiite majority. 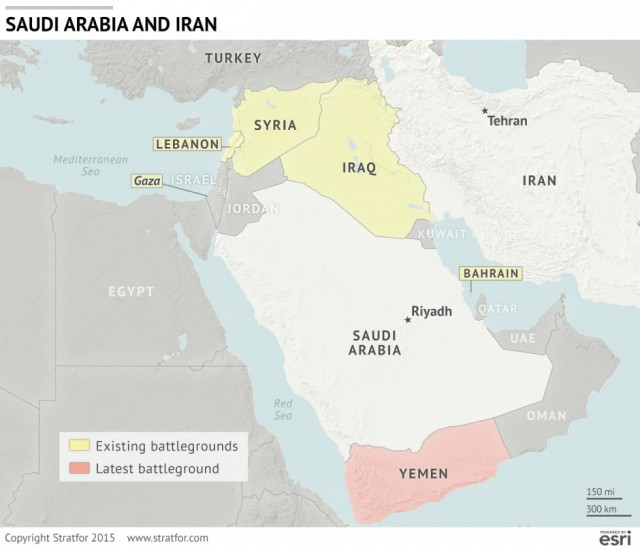 It was not that Saudi Arabia was not paying attention to Yemen, but it was not expecting Iran to gain ground on its southern frontier via a movement that is not a traditional Shiite one and in fact is theologically closer to Sunni Islam. That was the predominant sentiment I heard a little more than five years ago when I told U.S.-based venture capitalists about my plans to move my family out to Singapore to oversee Innosight's nascent investment and incubation arm. Since I had never done venture investing before, I was trying to get advice from as many people as I could. The conversations all went pretty much the same. "Why Singapore? You'll never find any interesting deals there." Sure, I would respond. At the time Singapore didn't have a sizzling start-up scene. But the conditions seemed to be ripe for one to develop. Like Silicon Valley, Singapore has strong research institutions and limited enforcement of noncompete clauses, a condition that academics now suggest can be a major driver of innovation. Like Israel, Singapore is small, with limited natural resources, which means economic growth requires innovative macroeconomic approaches. Both Singapore and Israel have liberal immigration policies for skilled workers. Both also have mandatory military conscription for males (Israel also has mandatory conscription for females), and as Dan Senor and Saul Singer argue in Start-up Nation, the Israeli military has been a breeding ground of innovation. "Yes, but Israelis and Americans are innovative by nature. Singaporeans are not," critics would respond. "Name a Singapore start-up. I can't think of a single one"
A fair point. If you had asked Singaporeans in 2010 to identify a successful local start-up, they might have paused for a few minutes before mentioning Creative Labs. That company was a pioneer in the audio component market, having entered the MP3 market before Apple. But it was founded in 1981 and hit its revenue peak about a decade ago before delisting from NASDAQ in 2007 and shrinking substantially. With the cautionary notes in mind, I arrived in Singapore in March 2010. It was indeed challenging in those early days to find good investment propositions. We made a couple, but they were proverbial needles in a haystack of business plans and pitches we sat through that were amateur at best, and outright naïve at worst. Fast forward to 2015, and you see an island transformed. There are dozens, if not hundreds, of interesting start-ups, many clustered in "Block 71," a building close to INSEAD, the National University of Singapore, and government-sponsored innovation hubs carrying Star Trek–like names of Fusionoplis and Biopolis. The Economist dubbed Block 71, "the world's most tightly packed entrepreneurial ecosystem." In my first year in Singapore we might hear news about a company landing venture funding every few months, and an exit (cashing out either through an IPO or by selling itself to a larger company) every year. Today, there's an investment seemingly every week; venture-capital investment in the tech sector increased from less than $30 million in 2011 to more than $1 billion in 2013. 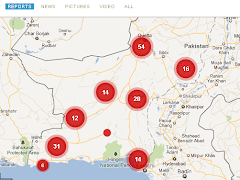 And we counted 10 local exits in 2014. Some of those so-called liquidity events are small by global standards, like the $30 million that customer service chat provider Zopim fetched. But others have been larger, such as the $200 million price Japanese e-commerce company Rakuten put on Viki, a video-streaming provider. The Singapore surge seems particularly surprising given the city-state's staid reputation and stagnant start-up scene just a few years ago. As governments around the world try to spur entrepreneurialism to drive job creation and economic vibrancy, it's worth stepping back to consider the three components that in my view have combined together to power the Singapore story. A hospitable environment. Singapore is regularly ranked as one of the easiest countries in the world in which to do business. There are rules, for sure, but they are clearly laid out and easy to follow. New companies can be set up in hours, if not minutes. Intellectual property is respected, and the rule of law is transparent. Immigration is no less a hot topic in Singapore than other countries, but Singapore makes it easy to get highly educated workers into the country, and has a specific employment pass targeting would-be entrepreneurs. The clean, efficient city has some livability advantages over Shanghai, Manila, Jakarta, or Bangkok. Mindful of its international reputation among the creative class it's trying to attract, the government has worked hard to address the old view that there isn't much to do in "Singa-bore" with two casinos, a Universal Studios, Asia's largest aquarium, a "botanic garden masquerading as a theme park" called Gardens by the Bay, a 55,000 seat multipurpose stadium, internationally acclaimed restaurants, and an efficient, modern airport that makes leaving the country a breeze. Serious government skin in the game. Entrepreneurs have long been able to tap into a range of grants and related programs to help with early development activities. In 2008, under the National Framework for Innovation and Enterprise (NFIE), the government launched the Early Stage Venture Investment Fund program. The initiative, which drew inspiration from a joint program between Israel and the United States called the Binational Industrial Research and Development Foundation, allowed five venture capital companies to receive matching funds from the government. One year later, we partnered with the government to prototype a new program under the NFIE. Ultimately dubbed the Technology Incubation Scheme (in Singapore, a scheme is a good thing), the program helped bring a flood of diverse investors into the country by offering to put up 85% of the capital in a start-up when investors put in 15%. This level of support was critical for us. We had long been interested in venture investing. But as first-time investors without a deep track record in a country thousands of miles away from our U.S. headquarters, it was unlikely we (or any similar outside investor group) would have been able to develop the financial backing required to build a robust portfolio without government support. It is not a free lunch, however. We and other investors in the ESVF and TIS programs have had to make real commitments, as the government doesn't cover the salary of the team (and since it typically takes years for investments in start-ups to bear fruit that's important) or other overhead, and of course the investors have to pony up the capital to activate the government matching programs. It is hard to create an ecosystem overnight, but consistent, concerted efforts by the government have given a serious boost to start-ups in Singapore. Wide use of soft power to address hidden barriers to entrepreneurialism. There is a misbegotten notion that entrepreneurs take risks because they don't have much to lose. In fact, research shows that the number one factor predicting whether someone will become an entrepreneur is whether the person has received an inheritance or a gift. Singapore's phenomenal development over the past 50 years means many of its citizens are sufficiently well off to take the entrepreneurial plunge without truly risking everything. But doing something as uncertain as starting a business when you could go to work for a big bank or, even better, the government, was countercultural for the best and brightest a decade ago. So over the past few years political leaders have relentlessly talked up the importance of entrepreneurialism (see, for example, this Facebook post from Prime Minister Lee Hsien Loong); state-sponsored universities have aggressively pushed innovation (the National University of Singapore has a program to send students overseas to get firsthand experience in other entrepreneurial hubs); and the state-owned television company MediaCorp (full disclosure, I sit on its board) has run television programs celebrating entrepreneurialism. Anafore, a company that we invested in two years ago, shows how times have changed. The company's software-as-a-service offering, called ReferralCandy, helps small businesses organize customer referral campaigns. The company's co-founders, Dinesh Raju and Zach Cheng, are both Singaporean whose academic track record scored them prestigious government scholarships to study at a top overseas university, Carnegie Mellon. In a previous generation, both would have likely followed a lucrative career in the government or perhaps even stayed overseas. Today, their company lives in Block 71 and is growing substantially. These three ingredients create a reinforcing cycle, as entrepreneurs who enjoy success find they want to do it again. For example, in 2010 Melvin Yuan co-founded YFind Technologies, a company with a clever technology that could precisely pinpoint people's location inside a building by tracking their cellphones' interactions with WiFi access points. That capability could be the backbone of very valuable business intelligence services such as retail "heat mapping," showing sophisticated analysis of in-store traffic. We invested in the company in 2012 through our fund, with the government contributing 85%, and U.S.-based WiFi service provider Ruckus Wireless snatched it up in 2013. Yuan did well in the transaction, and was bitten by the entrepreneurial bug. He's gone on to found another start-up that's developing a disruptive way to match people seeking original art with the vast trove of untapped artistic talent all over the world. Some successful Singaporean entrepreneurs are beginning to invest in the next generation of start-ups. For example, Hian Goh, who in 2005 cofounded the Asian Food Channel, in 2011 invested in Chope, a regional restaurant booking portal that our investment arm backed. And after Scripps Networks Interactive acquired the Asian Food Channel in 2013, Goh launched his own venture capital firm to invest in regional start-ups. Global investors are increasingly taking notice. Dave McClure's 500 Startups recently invested in a local real estate portal. Established global venture firms like Sequoia and DFJ are stepping up local activities (in mid-February the "D" in DFJ — Tim Draper — said he views Singapore as a great environment for start-ups). In 2014 the government announced a new batch of participants in the ESVF program, including old names like Walden International (which was part of the 2008 batch) and new ones like Monk's Hill Ventures. Many of these investors view Singapore as a launching pad to regional emerging markets like Indonesia, the Philippines, and Vietnam. More broadly, of the 156 software companies founded since 2003 that are now worth more than $1 billion, close to a third are based in Asia. There is beginning to be a critical mass of companies creating a self-sustaining innovation hub in Singapore. No local start-up has broken through as a major international player, but I'm quite convinced that will happen in the next five years. Maybe it will be RedMart, which could expand from its base of on-line grocery delivery in Singapore to address the complex challenge of food retailing in markets like Indonesia. Maybe it will be Anchanto (one of our companies), which is working on a "logistics as a service" platform that allows any small business to master the intricacies of e-commerce. Or perhaps it will be Clearbridge Biomedics, which has a disruptive way detect cancer via a "liquid biopsy"; Garena, whose popular gaming platform has attracted more than 100 million members (and driven its valuation above the magical $1 billion mark); Reebonz, whose on-line luxury portal is booming across Southeast Asia; or one of dozens of other interesting local start-ups. No place is perfect. While there is substantial seed capital to get a business started (arguably too much), plenty of investors primed to write huge checks to drive expansion, and significantly more entrepreneurs in Singapore than there were only a few years ago, building a team to start a new company remains challenging. And the so-called "Valley of Death" where a company has to move from a promising smart to real viability remains very real. But if the next five years feature anything close to the development of the past five, I expect a lot fewer questions about why Singapore makes sense for entrepreneurs. Scott Anthony (@ScottDAnthony) is the managing partner of the innovation and growth consulting firm Innosight. He is the author of The Little Black Book of Innovation and the HBR Single, Building a Growth Factory. His new book is The First Mile: A Launch Manual for Getting Great Ideas into the Market. Israeli Prime Minister Benjamin Netanyahu is visiting the United States this week to speak to Congress on March 3. The Obama administration is upset that Speaker of the House John Boehner invited Netanyahu without consulting with the White House and charged Boehner with political grandstanding. Netanyahu said he was coming to warn the United States of the threat of Iran. Israeli critics of Netanyahu charged that this was a play for public approval to improve his position in Israel's general election March 17. Boehner denied any political intent beyond getting to hear Netanyahu's views. The Obama administration claimed that the speech threatens the fabric of U.S.-Israeli relations. Let us begin with the obvious. First, this is a speech, and it is unlikely that Netanyahu could say anything new on the subject of Iran, given that he never stops talking about it. Second, everyone involved is grandstanding. They are politicians, and that's what they do. Third, the idea that U.S.-Israeli relations can be shredded by a grandstanding speech is preposterous. If that's all it takes, relations are already shredded. Speeches aside, there is no question that U.S.-Israeli relations have been changing substantially since the end of the Cold War, and that change, arrested for a while after 9/11, has created distance and tension between the countries. Netanyahu's speech is merely a symptom of the underlying reality. There are theatrics, there are personal animosities, but presidents and prime ministers come and go. What is important are the interests that bind or separate nations, and the interests of Israel and the United States have to some extent diverged. It is the divergence of interests we must focus on, particularly because there is a great deal of mythology around the U.S.-Israeli relationship created by advocates of a close relationship, opponents of the relationship, and foreign enemies of one or both countries. It is important to begin by understanding that the United States and Israel did not always have a close relationship. While the United States recognized Israel from the beginning, its relationship was cool until after the Six-Day War in 1967. When Israel, along with Britain and France, invaded Egypt in 1956, the United States demanded Israel's withdrawal from Sinai and Gaza, and the Israelis complied. The United States provided no aid for Israel except for food aid given through a U.N. program that served many nations. The United States was not hostile to Israel, nor did it regard its relationship as crucial. This began to change before the 1967 conflict, after pro-Soviet coups in Syria and Iraq by Baathist parties. Responding to this threat, the United States created a belt of surface-to-air missiles stretching from Saudi Arabia to Jordan and Israel in 1965. This was the first military aid given to Israel, and it was intended to be part of a system to block Soviet power. Until 1967, Israel's weapons came primarily from France. Again, the United States had no objection to this relationship, nor was it a critical issue to Washington. The Six-Day War changed this. After the conflict, the French, wanting to improve relations with the Arabs, cut off weapons sales to Israel. The United States saw Egypt become a Soviet naval and air base, along with Syria. This threatened the U.S. Sixth Fleet and other interests in the eastern Mediterranean. In particular, the United States was concerned about Turkey because the Bosporus in Soviet hands would open the door to a significant Soviet challenge in the Mediterranean and Southern Europe. Turkey was now threatened not only from the north but also from the south by Syria and Iraq. The Iranians, then U.S. allies, forced the Iraqis to face east rather than north. The Israelis forced the Syrians to focus south. Once the French pulled out of their relationship with Israel and the Soviets consolidated their positions in Egypt and Syria in the wake of the Six-Day War, the United States was forced into a different relationship with Israel. It has been said that the 1967 war and later U.S. support for Israel triggered Arab anti-Americanism. It undoubtedly deepened anti-American sentiment among the Arabs, but it was not the trigger. Egypt became pro-Soviet in 1956 despite the U.S. intervention against Israel, while Syria and Iraq became pro-Soviet before the United States began sending military aid to Israel. But after 1967, the United States locked into a strategic relationship with Israel and became its primary source of military assistance. This support surged during the 1973 Arab-Israeli War, with U.S. assistance rising from roughly 5 percent of Israeli gross domestic product to more than 20 percent a year later. The United States was strategically dependent on Israel to maintain a balance of power in the eastern Mediterranean. But even during this period, the United States had competing strategic interests. For example, as part of encouraging a strategic reversal into the U.S. camp after the 1973 war, the United States negotiated an Israeli withdrawal from Sinai that the Israelis were extremely reluctant to do but could not avoid under U.S. pressure. Similarly, U.S. President Ronald Reagan opposed an Israeli invasion of Lebanon that reached Beirut, and the initial U.S. intervention in Lebanon was not against Arab elements but intended to block Israel. There was a strategic dependence on Israel, but it was never a simple relationship. The Israelis' national security requirements have always outstripped their resources. They had to have an outside patron. First it was the Soviets via Czechoslovakia, then France, then the United States. They could not afford to alienate the United States — the essential foundation of their national security — but neither could they simply comply with American wishes. For the United States, Israel was an important asset. It was far from the only important asset. The United States had to reconcile its support of Israel with its support of Saudi Arabia, as an example. Israel and the Saudis were part of an anti-Soviet coalition, but they had competing interests, shown when the United States sold airborne warning and control systems to the Saudis. The Israelis both needed the United States and chafed under the limitations Washington placed on them. The collapse of the Soviet Union destroyed the strategic foundation for the U.S.-Israeli relationship. There was no pressing reason to end it, but it began to evolve and diverge. The fall of the Soviet Union left Syria and Iraq without a patron. Egypt's U.S.-equipped army, separated from Israel by a demilitarized Sinai and token American peacekeepers, posed no threat. Jordan was a key ally of Israel. The United States began seeing the Mediterranean and Middle East in totally different ways. Israel, for the first time since its founding, didn't face any direct threat of attack. In addition, Israel's economy surged, and U.S. aid, although it remained steady, became far less important to Israel than it was. In 2012, U.S. assistance ($2.9 billion) accounted for just more than 1 percent of Israel's GDP. Both countries had more room to maneuver than they'd had previously. They were no longer locked into a relationship with each other, and their relationship continued as much out of habit as out of interest. The United States had no interest in Israel creating settlements in the West Bank, but it wasn't interested enough in stopping them to risk rupturing the relationship. The Israelis were no longer so dependent on the United States that they couldn't risk its disapproval. The United States and Israel drew together initially after 9/11. From the Israeli perspective, the attacks proved that the United States and Israel had a common interest against the Islamic world. The U.S. response evolved into a much more complex form, particularly as it became apparent that U.S. forces in Afghanistan and Iraq were not going to pacify either country. The United States needed a strategy that would prevent jihadist attacks on the homeland, and that meant intelligence cooperation not only with the Israelis but also with Islamic countries hostile to Israel. This was the old problem. Israel wanted the United States focused on Israel as its main partner, but the United States had much wider and more complex relations to deal with in the region that required a more nuanced approach. This is the root of the divergence on Iran. From Israel's point of view, the Iranians pose an inherent threat regardless of how far along they are — or are not — with their nuclear program. Israel wants the United States aligned against Iran. Now, how close Tehran is to a nuclear weapon is an important question, but to Israel, however small the nuclear risk, it cannot be tolerated because Iran's ideology makes it an existential threat. From the American perspective, the main question about Iran is, assuming it is a threat, can it be destroyed militarily? The Iranians are not fools. They observed the ease with which the Israelis destroyed the Iraqi nuclear reactor in 1981. They buried theirs deep underground. It is therefore not clear, regardless of how far along it is or what its purpose is, that the United States could destroy Iran's nuclear program from the air. It would require, at the very least, special operations on the ground, and failing that, military action beyond U.S. capabilities. Aside from the use of nuclear weapons, it is unclear that an attack on multiple hardened sites would work. The Israelis are quite aware of these difficulties. Had it been possible to attack, and had the Israelis believed what they were saying, the Israelis would have attacked. The distances are great, but there are indications that countries closer to Iran and also interested in destroying Iran's nuclear program would have allowed the use of their territories. Yet the Israelis did not attack. The American position is that, lacking a viable military option and uncertain as to the status of Iran's program, the only option is to induce Iran to curtail the program. Simply maintaining permanent sanctions does not end whatever program there is. Only an agreement with Iran trading the program for an end of sanctions would work. From the American point of view, the lack of a military option requires a negotiation. The Israeli position is that Iran cannot be trusted. The American position is that in that case, there are no options. Behind this is a much deeper issue. Israel of course understands the American argument. What really frightens the Israelis is an emerging American strategy. Having failed to pacify Afghanistan or Iraq, the United States has come to the conclusion that wars of occupation are beyond American capacity. It is prepared to use air power and very limited ground forces in Iraq, for example. However, the United States does not see itself as having the option of bringing decisive force to bear. Therefore, the United States has a double strategy emerging. The first layer is to keep its distance from major flare-ups in the region, providing support but making clear it will not be the one to take primary responsibility. As the situation on the ground deteriorates, the United States expects these conflicts to eventually compel regional powers to take responsibility. In the case of Syria and Iraq, for example, the chaos is on the border of Turkey. Let Turkey live with it, or let Turkey send its own troops in. If that happens, the United States will use limited force to support them. A similar dynamic is playing out with Jordan and the Gulf Cooperation Council states as Saudi Arabia tries to assume responsibility for Sunni Arab interests in the face of a U.S-Iranian entente. Importantly, this rapprochement with Iran is already happening against the Islamic State, which is an enemy of both the United States and Iran. I am not sure we would call what is happening collaboration, but there is certainly parallel play between Iran and the United States. The second layer of this strategy is creating a balance of power. The United States wants regional powers to deal with issues that threaten their interests more than American interests. At the same time, the United States does not want any one country to dominate the region. Therefore, it is in the American interest to have multiple powers balancing each other. There are four such powers: Turkey, Iran, Saudi Arabia and Israel. Some collaborate, some are hostile, and some shift over time. The United States wants to get rid of Iran's weapons, but it does not want to shatter the country. It is part of a pattern of regional responsibility and balance. This is the heart of Israel's problem. It has always been a pawn in U.S. strategy, but a vital pawn. In this emerging strategy, with multiple players balancing each other and the United States taking the minimum possible action to maintain the equilibrium, Israel finds itself in a complex relationship with three countries that it cannot be sure of managing by itself. 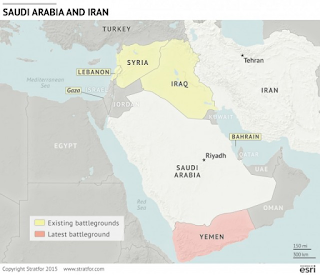 By including Iran in this mix, the United States includes what Israel regards as an unpredictable element not solely because of the nuclear issue but because Iran's influence stretches to Syria and Lebanon and imposes costs and threats Israel wants to avoid. This has nothing to do with the personalities of Barack Obama and Benjamin Netanyahu. The United States has shown it cannot pacify countries with available forces. The definition of insanity is doing the same thing repeatedly and expecting a different outcome. If the United States is not involved on the ground in a conflict, then it becomes a problem for regional powers to handle. If the regional powers take the roles they must, they should balance against each other without a single regional hegemon emerging. Israel does not want to be considered by the United States as one power among many. It is focused on the issue of a nuclear Iran, but it knows that there is no certainty that Iran's nuclear facilities can be destroyed or that sanctions will cause the Iranians to abandon the nuclear program. What Israel fears is an entente between the United States and Iran and a system of relations in which U.S. support will not be automatic. So a speech will be made. Obama and Netanyahu are supposed to dislike each other. Politicians are going to be elected and jockey for power. All of this is true, and none of it matters. What does matter is that the United States, regardless of who is president, has to develop a new strategy in the region. This is the only option other than trying to occupy Syria and Iraq. Israel, regardless of who is prime minister, does not want to be left as part of this system while the United States maintains ties with all the other players along with Israel. Israel doesn't have the weight to block this strategy, and the United States has no alternative but to pursue it. This isn't about Netanyahu and Obama, and both know it. It is about the reconfiguration of a region the United States cannot subdue and cannot leave. It is the essence of great power strategy: creating a balance of power in which the balancers are trapped into playing a role they don't want. It is not a perfect strategy, but it is the only one the United States has. Israel is not alone in not wanting this. Turkey, Iran and Saudi Arabia don't want it, either. But geopolitics is indifferent to wishes. It understands only imperatives and constraints. One major consideration from the Indian side was that the talks had to take place "substantially before or after" Pakistan Day which falls on March 23. On that day, the Pakistan High Commission in New Delhi invites the Kashmiri Hurriyat leaders for the official reception and the Hurriyat leaders always attend the event. Since talks were cancelled in August last over Pakistan High Commissioner Abdul Basit's meeting with the Hurriyat leaders, New Delhi was determined not to let it act as a "spoiler" for the talks again. Underworld don Dawood Ibrahim's continuous presence in Pakistan, Pakistan-based terrorist groups' activities in Jammu and Kashmir besides other issues are said to have discussed by the two top officials, sources said. "I would be surprised if there are any dramatic results in terms of bilateral ties when Jaishankar talks with the Pakistani side. How the visit impacts on the ties was difficult to predict at this point," said an official. "It is premature to predict the outcome of foreign secretary level talks between Pakistan and India scheduled for March 3, but chances of a decision to resume a composite dialogue are likely either in the upcoming or the follow-up meetings," DawnMonday quoted Aziz as saying. "The bilateral agreement on civil nuclear cooperation is yet another demonstration of our mutual trust. This is the first such agreement Sri Lanka has signed. It opens new avenues for cooperation, including in areas like agriculture and healthcare," Modi said at a joint media appearance with Sirisena. The talk discussed in detail security and border management related issues between the two countries. Significantly, both India and Bangladesh expressed satisfaction over the District Magistrates level talks that took place recently. India also assured Bangladesh of its resolve to get the Land Boundary Act through in the parliament as soon as possible that would help the two countries resolve the boundary dispute and related problems. India and Bangladesh have also agreed to resolve the issues concerning fishermen drifting inadvertently across the maritime boundaries. "Political geography has divided us, but there is no division in our two minds," she said during her interaction with litterateurs and cultural figures. "Tell me all your expectations...we will respond to them in due time," Ms. Bannerjee said. Top ULFA leader Anup Chetia won't be deported by Bangladesh till land boundary pact? "The issue of Anup Chetia came up during the Home Secretary level talks. Hints were dropped by the Bangladesh side, which we think as linking the agreement to Chetia's return," an official privy to the discussion said. At the home secretary-level talks held last week, Bangladesh senior secretary for home affairs, Mohammed Mozammel Haque Khan, conveyed to his Indian counterpart Goyal that Dhaka expected early ratification of the agreement. The objective of the ongoing exercise is to carry out counter insurgency and counter terrorist operations by guarding the mountains, jungle terrain and respective borders by joint monitoring and dedicated effort. Focus was also laid on deriving ways for providing assistance and relief during pandemic, endemic and natural disasters. Issues like environmental degradation and pollution are also included in the scope of this exercise. Asked to comment on the visit to India by Sri Lankan President Maithripala Sirisena, Chinese Foreign Ministry spokesperson Hua Chunying said, "We are happy to see close and friendly development of India-Sri Lanka relations". She added: "We believe the sound relations among the three countries are conducive to the three countries and to the whole region. Therefore we are happy to see development of relations between Sri Lanka and India." The Minister also said that appropriate measures are taken from time to time to maintain/upgrade the country's defence preparedness along the borders to safeguard the sovereignty, territorial integrity and security of India. DIPP Secretary Amitabh Kant said the government is committed to take steps to improve ease of doing business in the country. "We will make India an easy place for people to enter and exit. This is a challenge but we have taken up this task. We have announced several steps to improve ease of doing business...Japanese companies will grow and prosper in India and not in Japan," Kant said. Inaugurating the US Pavilion at the 'Aero India' show, Ambassador Verma termed the exhibit as "the best of US aviation and defence technology". "Air shows like 'Aero India' allow us to demonstrate our commitment to the strategic relationship with key international partners," he said, adding that "and in 2015, the strategic relationship the United States has with India is one of our most important." Highly critical of Obama's foreign policy, Jindal appeared to be supportive of the president's efforts to strengthen ties with India, which he noted is in America's interest. Responding to questions, Jindal supported joint effort between India and the US in the fight against terrorism, in particular Islamic extremism. Swaraj also briefed the Omani leadership about the economic reforms and growth agenda of the new Indian government and welcomed increased investments from this oil-rich nation. During the meeting with Prime Minister Narendra Modi, the visiting Foreign Minister Shaikh Khalid Bin Mohamed Al Khalifa recalled the "deep emotional bonds of friendship that are felt by the people of Bahrain towards India", a PMO statement said. "He conveyed the commitment of the government of Bahrain to deepen bilateral relations, including in the areas of defence, security, counter-terrorism, trade and investment," it added. "Israel had expressed desire to share cutting-edge weapons technologies with India. Both countries are willing to move forward. During my visit to Israel in November last year, I had invited Israel to become a partner in the 'Make in India' initiative in the defence sector," Home Minister Rajnath Singh said on Twitter after a meeting with Israel Defence Minister Moshe Ya'alon. Joao Cravinho, the 27-member EU's ambassador in India, said agreements like the India-EU FTA would ensure duty-free access for goods made in India to foreign markets, making India more attractive to foreign investors. Negotiations on the FTA, called the bilateral trade and investment agreement, began in 2007, but the two sides have missed at least four deadlines to finalize a deal. While the EU is keen on greater market access to India, including for a large number of agricultural products, India wants to see fewer restrictions on the temporary movement of its nationals working in Europe. European Union Ambassador Joao Cravinho said India can play an important role in finding a peaceful solution to the Ukraine crisis on which Western countries have threatened Russia of more sanctions if it fails to deescalate the tension. "We hope that India, in its interactions with Russia, should express concerns with regard to territorial integrity (of Ukraine), with regard to maintenance of ceasefire agreements that was agreed upon," Cravinho said. "The statue in Parliament Square not only marks his huge importance in the history of both our countries, but will enrich the firm bond of friendship between the world's oldest democracy and its largest," the British Prime Minister Mr David Cameron said in a statement.